I have a more substantial post in the works, but need a day or two to finish it. 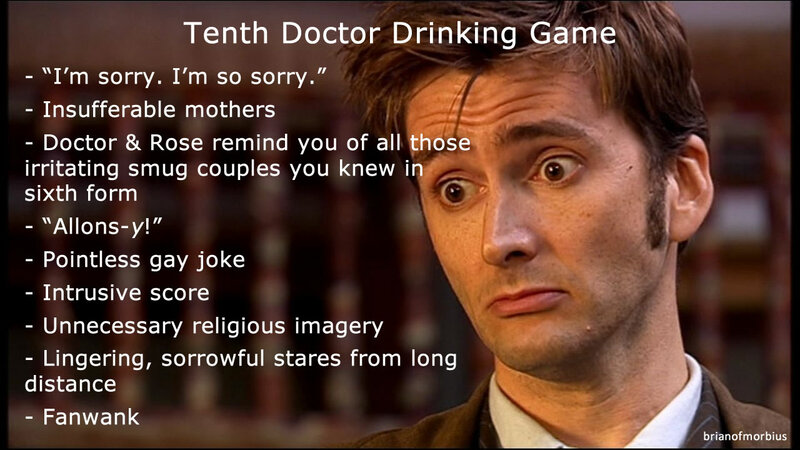 In the meantime, here’s the next installment of the Drinking Games – and today, of course, we’re looking at David Tennant. Which is quite true, but it also means you don’t have to watch ‘New Earth’. And if for whatever reason you count an ‘episode’ as the start of a series, it means you don’t have to watch ‘Tooth and Claw’. Either way, it’s a win. I am on the other side of the Atlantic to SJ, and the time factor – among other things – has rendered me unable to take part in these affairs. 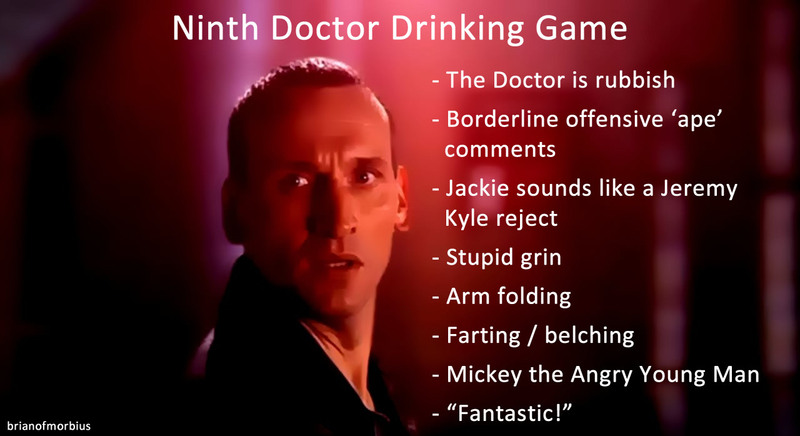 My contribution is thus meant to be a semi-wry commentary on certain televisual idioms, and of course it’s Doctor Who related: a way of talking about all the things that bug you while minimising the acidic cynicism that tends to litter this blog when I’m going off on a rant. 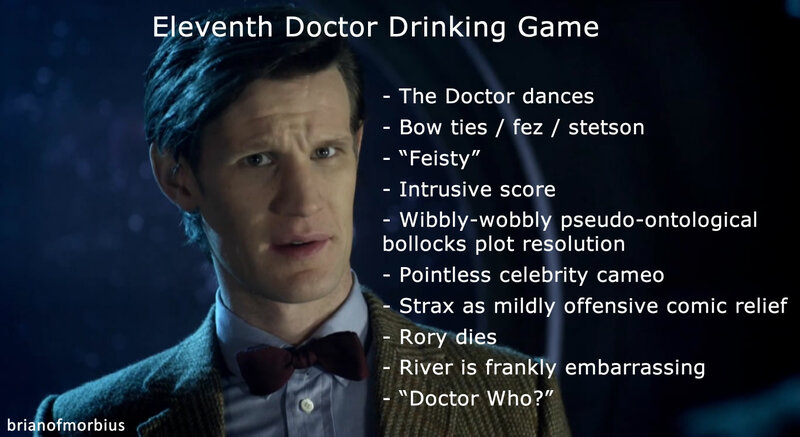 There are, I’m sure, various Who-themed drinking games littering the internet, and I deliberately didn’t consult a single one. But here is the first in a series, and for various reasons we are going to start with the most recent incarnation of the Time Lord, and work backwards. This is far from an exhaustive list, of course, but I don’t think I should include any more. Your liver is far too important to me.